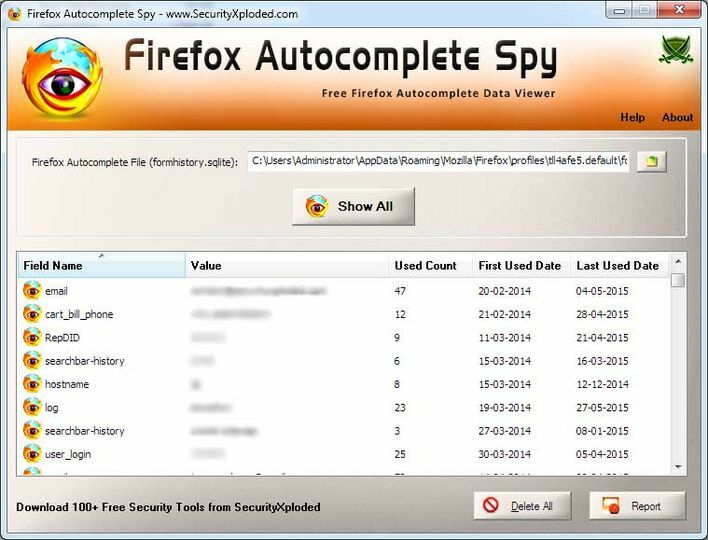 Firefox Autocomplete Spy can be used to view and erase autocomplete data stored by the Firefox browser. The information includes login name, email, address, phone, credit/debit card number, search history etc, which is stored in a database file. Sort feature to arrange the data in various order to make it easier to search through 100's of entries.